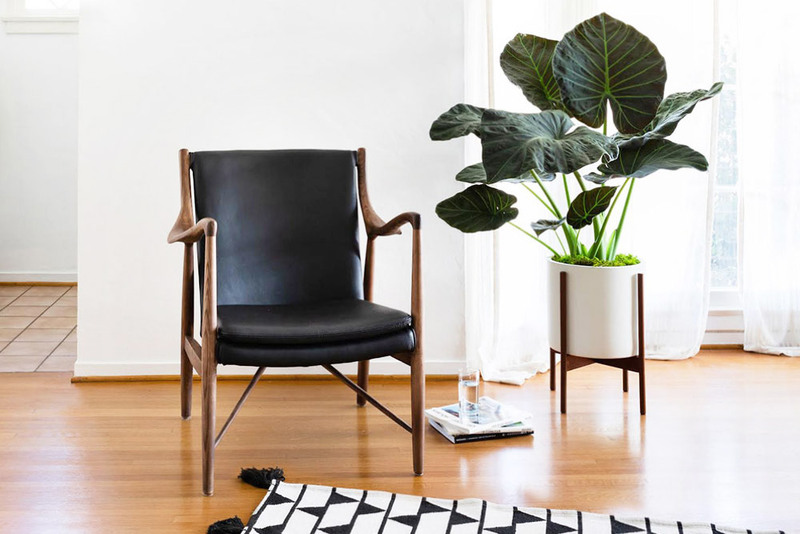 This Elephant's Ear plant's lush, tropical-like foliage is perfect for creating a dramatic effect in any room. The large heart-shaped leaves – from which the plant gets its name – are a beautiful mix of deep purple with green veins. 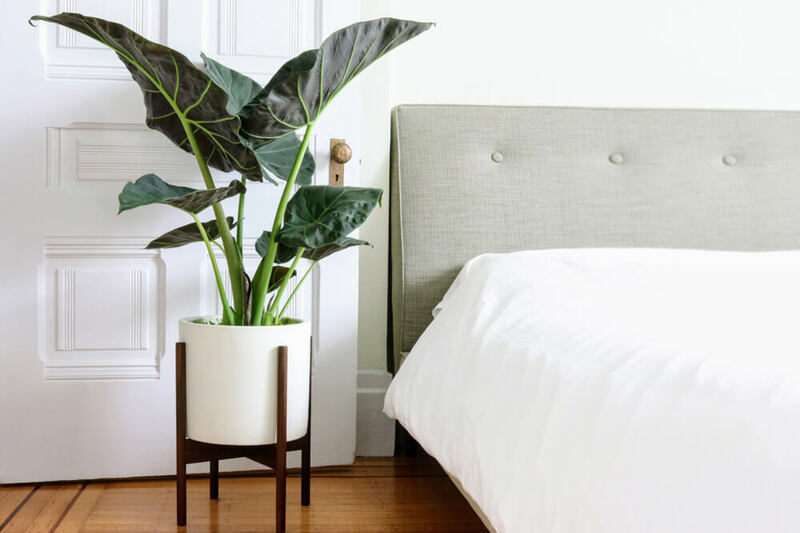 The Elephant’s Ear plant grows quickly in indirect sunlight and humid environments, and generally requires minimal care. The decorative veining on the underside combined with the uncommon color make the plant really stand out in any space. Follow the instructions below and you should not have any problems with Elephant Ears Plant. 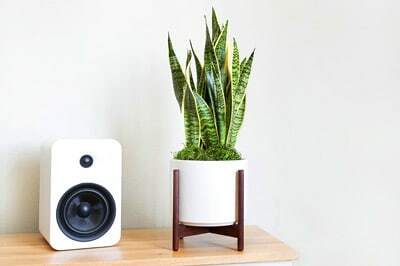 All plants experience some shock when moved around and may take a bit of time to adjust to their new environment in your home, But take gentle care, give it patience and it will reward you with its beauty. 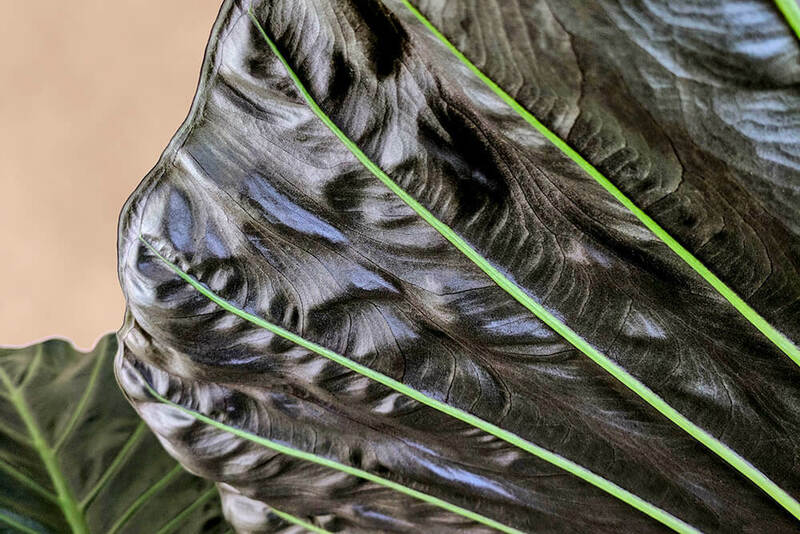 The Elephant Ears Plant prefers bright indirect light, and can also tolerate lower light levels. Avoid prolonged exposure to direct sunlight. Soil must be moist at all times. Water the soil evenly (under the decorative moss), but do not oversaturate - usually this needs to be done about once a week, but may vary based on the conditions in your space (more light and dry air means more water). As with all plants, avoid overwatering, and drain any excess water from the bottom of the pot as standing water may cause root rot. Feel free to trim off any dried or damaged leaves and stems as close to the base as possible. This encourages the growth of new leaves. Avoid cold drafts and gusts of wind. Write us at hello@leonandgeorge.com with any questions about your Zanzibar Gem not covered here.